Why Insurance is exactly Important in Indonesia? Is there among you who still think that buying life insurance is not important? If there is, it's good to listen to some facts below that make life insurance is so important to the entire community. The fact is that every seven people who died in Indonesia, one of them because stroke.-Ministry of Health of Indonesia, 2011. Deaths from non-communicable diseases increased to 59.5% in 2007-Health Minister of Indonesia, Endang Rahayu Sedyaningsih, 2011. Based on a survey of the World Health Organization (WHO) in 2002, 10 causes of death in Indonesia is coronary heart disease, tuberculosis, blood vessel disorders, respiratory diseases, diseases of the newborn, lung disease, traffic accidents, diabetes, high blood pressure, and diarrhea . Based on Tower Watson's 2011, Global Trends Medial, mention health care costs in Indonesia growing up from 10% to 14% in the last three years. These facts are quite logical reason to buy life insurance. You definitely do not want it when you die or suffer permanent disability total troubling your family? Insurance benefits will not actually be felt before the risk happen to us. Then why do we have to have insurance? And how do we need insurance? Here are 5 reasons why we have to have insurance in our life. Which is certain to be dating is death. Yes Dead. He must be dating, we just do not know when he was dating. So we need insurance. Because when we leave this world, we want to keep our family happy, isn't it? 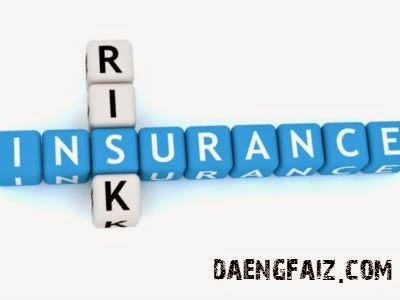 Insurance is not 'repellent death' but insurance is not at all 'cause of death. Select when we should precede the family, whether they suffer and languish or those who are happy, even without us? The answer lies in yourself. When other risk came before the death comes. And we can not do anything else for happiness left, the question is, Do we want to see them happy even though we've not power? There are so many possibilities (uncertainty) in our lives. Every single activity that we do everyday have their own risk. Therefore, risk is everywhere and unplanned. Insurance fosters a sense of security and peace. Because of the risks that may hit us already anticipated. Even it is not completely protecting us. All possibility risks are stated in the contract. In addition, by taking insurance also increase our care. 4. As an investment instrument and well-planned saving. When we proceed to grow our business investment, there are too many fraudulent investment platform. For example, savings in banks subject to inflation, and often easy to withdraw money via ATM. The duration of the investment are also little bit longer and it make the investor bored. Invest in an existing unit-linked insurance (linked to investment) it is quite wise choice. While rarely grow deposits, filling nor discipline. It always tempt to drain the money. So with no disciplined investment plus insurance. The results will be up to us later want to use for what. Can buy a dream house, dream car, and also a trip to the desired spot. Our expenditure which was confiscated our pocket is spending money for buy a house, buy a car and venture capital. By investing in insurance can also increase business capital. Among the advantages of insurance, especially with regard to investment is very useful for your future help make plans for your future. asuransi dalam islam halal ga daeng?